Provides the most innovative and advanced skin care and body treatments. Our prime focus is to service our costumers with the latest cutting-edge treatments and therapies available. 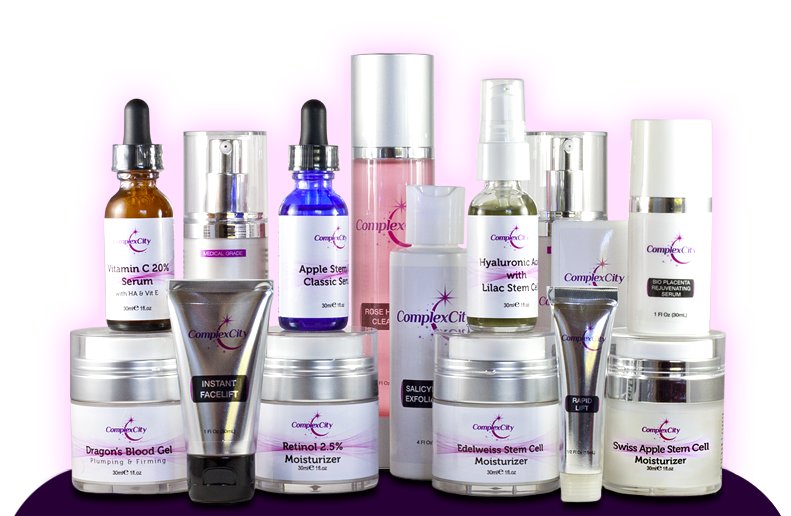 ComplexCity Spa is centrally located in Hollywood, FL for all of your skin care needs. We provide a series of skin care treatments specifically designed to meet individual concerns and needs. ComplexCity Spa body treatments are done with the most advanced technologies to reduce imperfections. Our safe, gold standard laser treatments provide great results and less recovery time than ever before. The art of permanent makeup at CompexCity Spa enhances facial features in natural and subtle ways. 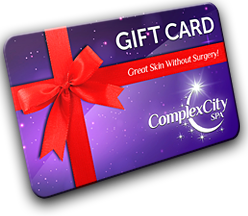 At ComplexCity Spa we provide the most high tech and advanced skin care products. ComplexCity Spa provides the most innovative and advanced skin care and body treatments. Our prime focus is to service our customers with the latest cutting-edge treatments and therapies available. If you are concerned about the condition of your skin on your face, as well as on the rest of your body, you may want to consider going to a spa. You can obtain proven treatments for improving the way that you look, and therapies that can help you deal with certain problems. Many of the companies that provide these services can help you with skin care, body treatments, laser treatments, and also provide permanent makeup. A business by the name of ComplexCity Spa is a company that can help you with all of this and much more. Here is an overview of this business that will help you improve your physical appearance in a multitude of ways. What Services Do They Offer? This business provides many different services which will include facials, microdermabrasion treatments, acne treatments, chemical peels, and skin tightening procedures. They can also implement oxygen facial treatments for rejuvenating your skin, as well as use IPL photo facial technology. LED light therapy can be helpful in reducing signs of aging, along with carbon laser facial treatments. These are just a few of the many skincare options that this company provides today. There are quite a few treatments offered by this company that you may want to consider using. This would include refresh oxygen mini facials, pore reducing facials using LED light therapy, and serum infused skin tightening treatments that can help you look years younger in a short period of time. If you would like your skin to glow, they offer ultimate glow skin rejuvenation facial treatments. Collagen induction therapy treatments are also capable of reducing wrinkles quickly. They offer many different types of antiaging treatments, along with TCA chemical peels. All of these are designed to help you reduce the signs of aging. In the same way that your face can start showing signs of aging, so also can the rest of your body. Stretch marks are often one of the more unsightly problems that a person can develop. These can show up on your stomach, thighs, and even rights above the buttocks. Stretch mark reduction therapy is very effective at reducing both small and large areas affected in this way. This can be complemented with skin tightening treatments, and body slimming and cellulite treatments, helping you to look your best. Laser hair removal treatments are among the most popular. These can also be applied in small and large areas. In most cases, it will require a couple treatments to see results. If you have a very busy schedule in your life, you should consider permanent makeup as an option. This type of procedure has become very popular and advancements have been made that are impressive. Intradermal pigmentation treatments like this use natural pigments that are placed in the dermal layer of your skin. It is completely safe, and can provide you with permanent eyeliner, eyebrows, and lip liner on the top and bottom lips. Some people prefer to use these treatments to deal with problems such as vitiligo where you can have blotches of skin that are significantly lighter in color. Scar camouflage treatments, and also hairline enhancement treatments, have become very popular for those with scars and a receding hairline. Other treatments offered will include lip liner touchup treatments, full lip color treatments, and coloring treatments for your eyebrows. The use of laser technology has improved significantly over the last few years. When this technology was first invented, specifically for skin treatments, it could be very detrimental to the skin. Lasers were soon refined in regard to the frequencies that were used. They were able to determine what type of laser light could remove signs of aging without compromising the health of the skin. Today, there are many different laser treatments that are available from dermatologists and spas all over the world. ComplexCity Spa has a substantial number of laser treatments that can help you look fantastic. Carbon laser facial treatments are one of their more popular options, along with IPL photo facial treatments. Fractionated CO2 laser skin resurfacing is another treatment option that is popular. This can be helpful when trying to diminish acne, or help reduce age spots or acne scars. The same is true for the Q-Switched Nd: Yag laser treatment which is also very helpful that reducing the signs of aging. Finally, there are laser tattoo removal procedures that can help people who have decided to remove certain tattoos from their body. Another area where this company perseveres over the competition is in the production of skincare products. They have so many different products that are very helpful that reducing the signs of aging rapidly. Some people prefer these cosmetic products over laser treatments or dermabrasion, preferring this more gradual skincare option. They have several available including bio placenta rejuvenating serum, Dragon’s blood gel, and skin lightening cream for those that may have age spots or vitiligo. One of the most unique products is there Swiss Apple stem cell moisturizer. Stem cells are cells that are able to mimic healthy cells in the body. This product is able to rejuvenate your skin using this high-tech product on a daily basis. This company also sells what are called aesthetic machines. This will include laser and energy devices. They are designed to provide you with professional grade units that can help you with hair removal, skin renewal, and laser skin resurfacing. They have complex machines such as the multi function beauty machine, as well as the collagen induction machine that can improve the condition of your facial skin quite rapidly. They also have body shape, IPL, and fractionated CO2 lasers that are for sale. These are designed for professionals that are looking for the best products in this industry. They also have a diode hair removal laser, and a Q-switched Nd:Yag laser which you may also want to use with your clinic. These are available from this well-known company in the Hollywood Florida area, a business that may have the exact aesthetic machines you are looking for. Setting an appointment with this company is very easy. You can find all of their contact information on their main website. This will include their phone number so that you can talk to a representative. You can also email them directly to set an appointment. You will also get to see all of the different treatments that they offer. It is recommended that you call them while you are on their website. By talking to them about what you would like to accomplish, they will schedule the most appropriate appointment to help you improve your face and skin dramatically. If you have not been to a spa before, you should certainly consider working with a professional at ComplexCity Spa. They are located in Hollywood in the state of Florida. This is a business that prides itself on providing the best treatments at the lowest possible prices. They are able to help you achieve your goals by providing these proven treatments to reduce signs of aging and resolve other skin related issues fast. Contact ComplexCity Spa today to set your appointment so that you can start improving the condition of your body and skin. Whether you decide to take advantage of their laser treatments, or the cosmetic products that are available, you will see positive and noticeable results in Lauderdale Lakes. Join our mailing list to receive the latest news and updates about ComplexCity Spa.